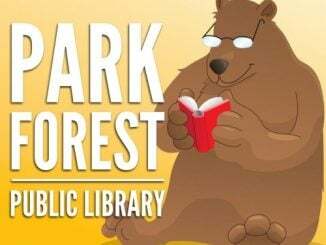 The Park Forest Library, 400 Lakewood Boulevard, will be hosting several Special Events in April. All events are open to the public. April 15th – “Book Talk with Mary Kubica” A special presentation/book talk at 2 p.m. featuring New York Times best-selling author Mary Kubica. (First 50 attendees will receive a special gift.) Mary holds a Bachelor of Arts degree from Miami University in Oxford, Ohio, in History and American Literature. She lives outside of Chicago with her husband and two children, where she enjoys photography, gardening and caring for the animals at a local shelter. Her first novel The Good Girl was an Indie Next pick in August of 2014, received a Strand Critics Nomination for Best First Novel and was a nominee in the Goodreads Choice Awards in Debut Goodreads Author and in Mystery & Thriller for 2014. Mary’s novels have been translated into over twenty languages and have sold over a million copies worldwide. She’s been described as “a writer of vice-like control,” (Chicago Tribune) and her novels have been praised as “hypnotic” (People Magazine) and “thrilling and illuminating” (Los Angeles Times). April 19th – “Earth Week Concert: A Concert for Peace as an Environmental Issue” Performance by Tom Neilson. at 6:30 p.m. Tom provides a voice for those who believe in the power of folk music to effect change. His award-winning songs of humor and compassion have been performed in 21 countries on 5 continents. His lyrics are celebrated for their sophistication, political astuteness, & wit. Combining art with activism, he has appeared with Medea Benjamin, Amy Goodman, Cindy Sheehan, Cesar Chavez, Noam Chomsky, Ralph Nader, many others, and played at the Martin Luther King Center in Havana, Cuba. His travels are reflected in his songs, intertwined with farm roots and a fervent commitment to social justice, as he writes about historical and current events. Mindful Eating Circle: Discussion of The Rules of Normal Eating, A Commonsense Approach for Dieters, Overeaters, Underaters, Emotional Eaters, and Everyone in Between by Karen R. Koenig, Saturday April 7th at 1:00pm. Practical Application Circle: Discussion of Here Is Real Magic: A Magician’s Search for Wonder in the Modern World by Nate Staniforth, Saturday April 21st at 12:30pm. Morning Pages Circle: Discussion of Journal Sparks: Fire Up Your Creativity with Spontaneous Art, Wild Writing, and Inventive Thinking by Emily K. Neuburger, Sunday April 22nd at 2:00pm. Friends of the Library Book Discussion: Discussion of A Piece of the World by Christina Baker Kline, Monday April 23rd at 12:00pm. Earth Wise Book Circle: Discussion of Gathering Moss by Robin Wall Kimmerer, Saturday April 28th at 1:00pm. 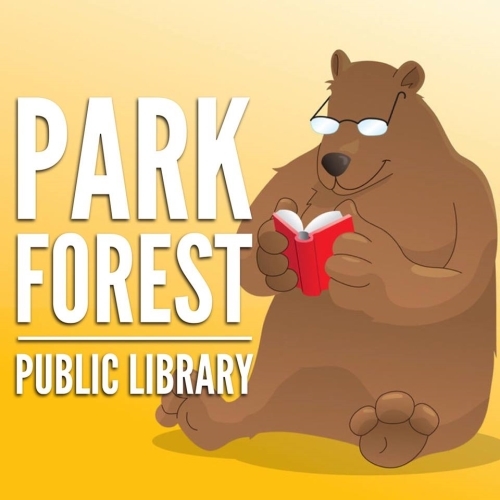 You can find additional April events on the Library’s website or in each week’s ‘In & Around Park Forest’ column found in eNews Park Forest.